The Brodix Cast Aluminum Valve Covers feature a stout construction with thick, precision-machined gasket surfaces to ensure a good seal. The covers have a sand-cast finish with a machined and polished Brodix logo. 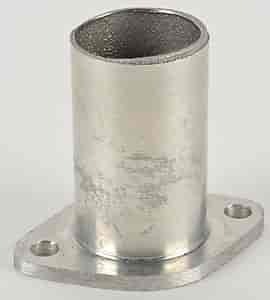 They're available in short or tall models to clear stud girdles and roller rockers. Put a finishing touch on your engine insist on quality Brodix valve covers! Note: Sold In Pairs, unless otherwise noted. BR BT - Brodix Aluminum Valve Covers is rated 4.0 out of 5 by 1. Rated 4 out of 5 by Danman from ok These are ok, I was expecting a little better quality, it looks like pot aluminum. I haven't put them on yet because I have to drill the hole in the valve covers, which i'm not crazy about doing, but that's not the fault of the breather.